Are you looking for the Drone Camera? Do you want to know about the Best Drone Camera? Then you can read the guide below. Here I am going to show you the best drone cameras that you can buy in the now in 2019. In some last years drones are going down, but if you want to buy a drone there are many reasons that we need to think or view. Are you a beginner, intermediate or expert in drones? whatever, we have picked top 10 best drones for all budgets and levels. Most people buy drone cameras just for fun or entertainment, to be honest, I really like a drone with a camera because these are superb. Absolutely, you will able to find the best drone camera after reading this article, I have reviewed cheap and expensive drones. We have covered almost all types of drone e.g., hobbyist drone, photography/videography and toy drones. Keep remember, there are two options for you cheaper and expensive, all depends on you and your budget. 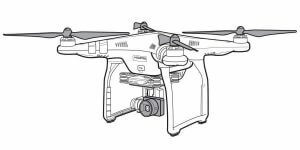 Before starting, I would like to tell you that drones are also known as quadcopters because of rotors around their four ends. After researching of hours I am going to review the top 10 best drone cameras, some drones are ready to fly while some drones need installation (when you will buy any drone you will also get installation guide if its required). According to me, there are two options available, the first if you need a drone for entertainment I would like to recommend you a simple drone and secondly if you need a drone camera for filmmaking or videography you can go with a high quality but expensive drone. Now the world is yours to fly if you are a beginner you need basic drone and if you are an intermediate or expert you can buy a high-level drone. DJI Mavic Pro is first drones comes from our list. Before starting you need to know that Dà-Jiang Innovations Science and Technology Co. is commonly known as DJI. DJI is a Chinese company that is very famous in the world of drones. 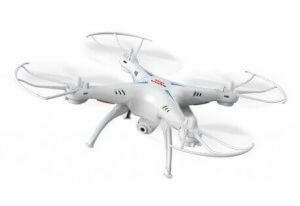 It has released many drones with awesome features that you can see in the market. The famous drones that are available in the market are mostly provided by DJI. Some of them are DJI Mavic Pro, DJI Phantom 4 etc. The DJI Mavic Pro is a perfect portable drone that you can take anywhere with you. If you want to travel anywhere you can take this drone with you. Mavic Pro requires you to use it with iOS 9 or later and Android 4.1.2 or later, its easy to use. Battery timing is almost good but needs improvements, on the other hand, it has a great compact size. Its design and style are awesome and customer service is brilliant. DJI Mavic Pro is a best and you can say it overall best drone in the market. Many famous people are using this drone because it gives brilliant features. Another awesome feature of Mavic pro is that its range is 7km (4.3 miles) and on the other hand, the controller can fly the drone at the speed of 40mph (64km/h). Really this feature of Mavic Pro impressing its users. Note: It is not for beginners, this item/product is mainly provided for those who are expert in the world of drone cameras. So, now its time to go on its features, you need to know that you can fold one small water bottle via Mavic Pro. Its resolution (that is up to 4k) helps to impress its users. 12MP (Mega Pixel) camera increases the value of videography by Mavic Pro. We can find some special features in Mavic Pro like Active Track and Tapfly. In this way, we can do videography with the perfect camera and video result. So, let’s go and discuss its features in detail. DJI Mavic PRO has many new and advanced features with the advanced level of technology. You need to know that Mavic Pro is the best drone camera on the market. Mavic Pro is the best drone camera under $1000 which is an affordable and professional drone. You can easily recode a video with the 4k result. On the other hand, it is easily controllable you can control indoor or outdoor anywhere. And its battery life is about 23 minutes (you need to recharge the battery after it will go down). It requires a smartphone to control and it is unstable in strong winds. DJI Phantom 4 is the second best and you can say runner-up drone, comes from DJI. Phantom 4 is the most popular drone in the market, there is a reason that we haven’t listed it on the first number and we have just listed it on the second number because of its huge and a bulky design that makes it less portable as compared with Mavic Pro. It is the most professional drone camera that is currently available on the market and you can buy. The something we found in Phantom 4 is that powerful 1 inch 20 MP (Mega Pixel) Exmor R CMOS sensor that has the ability to record 4K 60fps videos. On the other hand, if we discuss its flying speed we can say that it is capable of flying up to 30 minutes per charge at a speed up to 44mph. Another awesome feature comes with advanced technology that you can control Phantom 4 for up to 4.3 miles (6.9 kilometers). 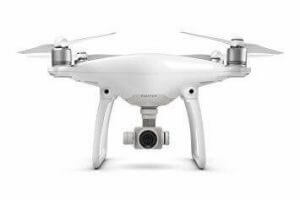 Phantom 4 is over just three pounds. It is not foolproof but has many new features with the advanced level of technology. It has an ability to take off and on the other hand, you don’t need to be worried about it, it is responsible to come back home on its own. 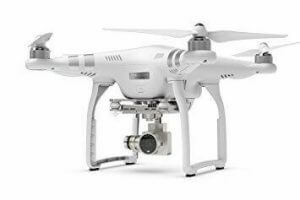 You can easily control or operate Phantom 4 with its easy operating options. You can monitor it with a remote that you will get with it when you will buy it. Phantom 4 has a good quality camera, as you can easily do videography with good video result with its camera. You can get HD Video result by its camera, you can also edit video (which you captured with its camera). You can use the DJI director software that is included in Phantom 4, it allows you to edit videos. You can add text, music and many other options in your video with this editor. Phantom 4 comes with additional features and functionalities to prove its high price or you can say it an expensive tag. The DJI Phantom 4 has many awesome and latest features. It has the best feature that is known as FlightAutonomy that is responsible for that your drone won’t slam into a building or get stuck in the tree. You can go at max speed and speed with be 20m/s (mitre/second) (S-mode: 20 m/s). It requires you to attach iOS 8 or later and Android v4.1.2 or later for video. The image size you will get from it with the size of 4000×3000. The image type will be JPEG and DNG that you will get from it and on the other hand, the video type is MP4, MOV. You need to know that there is a something new that we found in it “follow me” and “return to home” function. You can enable this option and then it will come back home. You can record video in slow motion as you want. I think both options are available (slow and fast motion). Halo Drone Pro is the best drone on our list, that have many features and specs. 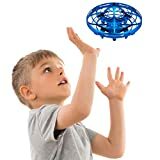 Halo drone pro is best because it has a very stylish and portable design and only it has many new features with the advanced level of technology in only single. Halo is a company that provides you with electronic things for many years. Finally, Halo released an awesome drone with great features and specs, that is now available in the market, you can buy it. One thing you need to know that you can easily change its options. And you can easily use the automated system that is available in Halo Pro. The GPS tracking will really satisfy you. On the other hand, you can also find Auto Take-off option in it. Don’t forget that it has also Auto-Land and Return to Home features which increases its value and demand in the market. Advanced follow module option is included in it, that you can easily use. You will be able to capture the footage in 4K at 30fps. It’s easy to customize, all the options are really simple. You can also mark a location on the map, that allows the drone to go to the marked location. Halo Drone Pro easy to use, you can easily fly this drone. It is simple and has a very beautiful design that will not found in any drone. A GPS Tracking feature available in it, that is awesome for its users. Sony Image Sensor is available in Halo Pro and on the other hand, you can use advanced follow modes options which are available in it. Follow modes allow you to track any person and there are many advanced options in Halo pro. Like you can use Simple Follow, Follow Orbit, Hover and Aim, Follow Shadow and many other options. Smooth Gimbal Focus option is available it helps you to get smooth and stable footage. A compact design has Halo pro, as I said in the first that it is very stylish. Really, there is another awesome feature included in Halo pro, that is known is Auto-Flight Capable. By enable Auto-Flight Capable option, your drone will fly auto, you just need to mark points on the map. Sports watch remote control and more. 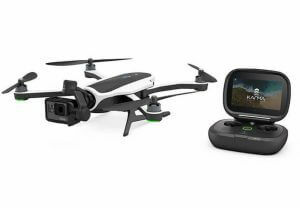 Finally, GoPro has released another drone which is really very simple and known as GoPro Karma. You need to know that GoPro is a good company in the world of drones and cameras. 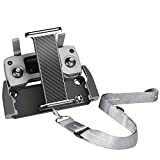 GoPro Kamra has a brilliant camera which increases the value of GoPro Karma. Its camera is very powerful and has the ability to record video at 4K. You can take anywhere this brilliant drone. GoPro is a famous company in the market for the camera and recently released many new cameras. The best camera is included in GoPro Karma, that is really awesome. You need to know that GoPro has released a drone and now it has come into the drone world. A big jump from cameras to drone cameras by GoPro. GoPro is a great drone that is now available you can buy from the market. When it comes to the related drone to Karma, DJI Mavic Pro is the drone that is almost related to Karma. You need to know that both drones are extremely portable. I will not say that Karma is the overall best because it has missing many new and advanced features. Obstacle Avoidance is missing in this drone which is really important and advanced feature. When it comes to battery, it has too low or minimum battery life (Battery Life is almost 18-20 minutes). On the other hand, Follow Me mode feature is missing in this drone, that’s why I can’t say it overall best. You can check its features, pros, cons for more information. Now I will discuss the features of GoPro Karma with detail. The maximum speed of Karma is 35mph (15m/s) and the maximum distance is almost up to 9,840ft (3000m). Its weight is 35.5oz (1006g) and has good dimensions (Lenght: 12inches, Width: 8.8inches and Height: 3.5inches). The flight battery timing of Karma is very low that is up to 20 minutes and the battery type is Li-Po. The karma controller is designed with awesome features, its screen size is 5 inches (12.7cm). Karma controller battery life is 4 hours. I think these features are good and now I would like to write its some features in the list format. Let’s check its pros and cons. 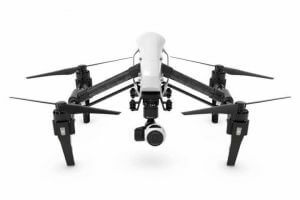 Once again DJI provides another drone which is known as Inspire 1. Finally, DJI included an advanced option that will really happy you, that two persons can control Inspire 1 with 2 controllers. You need to know that there is really good and awesome camera, you can record video in it with 4K video camera result. Are you a Videographer? If yes then this drone camera is best for you. You can do any type of experiment on videography with Inspire 1. You can record high-quality videos with details, colors, and sharpness etc. Inspire 1 is a professional drone or you can say it quadcopter that has many features one of them is that it has 360 degrees 4K camera that increases its value and demand in the market. Cool! DJI Inspire 1 can show you the live HD video, in the real time, you can watch the video. On the other hand, you can upgrade your camera, that is a really awesome option. As I said it has many features, the camera of Inspire 1 is very powerful and built with many advanced features. There is no doubt that Inspire 1 is good because it has many features and you can read all here. Its ready to fly you can easily fly Inspire 1, its fly system is complete and powerful. You need a mobile phone or a screen to get live HD video which is getting/capturing your camera. You can easily attach any good mobile phone or any screen, as you want. 12 MP (Mega Pixels) Camera increases its value and demand in the market. You will be able to get HD videos on the recording. You can watch live video, as you drone go anywhere you can easily watch live HD video. You can shoot video at 4K with its beautiful camera. As I said it has 12MP (Mega Pixel) camera that is good for videographers. If you want to remove camera or gimbal you can easily do it yourself. It’s easy to use and you can also update your camera. It depends on you if you want to keep camera and gimbal you can keep otherwise you can remove any from these. You can remove the camera, its camera is removable. There are many other features you can get in Inspire 1. “Follow Me” feature is available in it, you can enable it by touch/click at just once. DJI says that “Intelligent Flight” feature is included in Inspire 1, that is really cool and satisfy its users. You can easily record 4K videos with its advanced camera. Let’s see all the features below in the list. The time for beginners has come to fly a drone if you are a beginner I recommend you to go with Syma X5C drone camera. The Syma X5C considered as the best drone camera under $50, the best way to put yourself in drone world. So, you are able to enjoy the just 7-minutes flight with x5c, and a 100-minute recharge time noticed. The best drone in cheap price, x5c can fly indoor and outdoor both. A six-asix gyro is a love because it stables the drone during the flight time. Thanks to the 2GB memory card and 720p HD camera which allows you to take photos and make the video during the flight. The range of this drone is 50 meters which satisfy most users, that’s why the best choice for beginners. Although, there are no advanced features but still recommend by many experts for beginners and low budget. Battery life is short and not liked by some users. There are a lot of features in digital camera some of them are latest control system 3D lock operating system and many more. Overall the IOC function is awesome seriously this drone camera will make you the best pilot. 2MP HD Camera is amazing, it can record videos and take images for you. The fantastic design of this drone satisfying most of the users. So it’s time to enjoy with your family and friends, you can also take an eye on anyone. When it comes to the features of x5cs, there is nothing new only simple functions and features are available for beginners. I highly recommended this Drone camera for beginners so it’s time to take on its pros and cons. So, the next drone or Quadcopter comes on our list is 3D Robotics Solo. This drone is mainly built for the less price, the main focus of developers is on price and performance. If we compare this drone with others it is no expensive as the other drones are. So, let’s go and read all about 3D Robotics Solo. This drone has the ability to pack over 35 sensors and 20 microprocessors in its rigid. The drone that is very easy to fly and you can find drone capable data solution on the market. Flight time is 16 minutes with Sony R10C, and you can control this drone from 1km (Kilometers). The max speed I noticed is 25mph (means 40km/h). A motor has power about 880kV, on the other hand, its propellers are 10 inches (24cm) diameter. The communication method is 3DR Link secure Wi-Fi network that is a really awesome feature in this drone. The radio frequency is almost 2.4 GHz and its weight is 1.99 kg (4.4 lbs.). Its dimensions are 10 inches tall (25cm), 18 inches (46cm) motor-to-motor. The battery charge time is 1.5 hours. Let’s take a step on its timing, the flight time is counted and it is almost 16 minutes. On the other hand, its communication range is 1km that is almost good. Its battery charge time is 1.5hrs and the max speed of Solo is 25mph (40km/h). Its weight is 1.99kg and Radio Frequency is 2.4 GHz. This drone comes from DJI which is known as Phantom 3 Professional. This drone is at the number four we got from DJI. You need to know that, many popular YouTuber or filmmaker are using Phantom 3 Professional for videography. In this way, Phantom 3 Professional is the younger brother of Phantom 4. If we will compare both then we will find that the Phantom 3 Professional has a great design that increases its value and demand in the market. It has gold accents on its different parts, which increases its design value. Now its time to take a look at all the things/features available in it. DJI Phantom 3 Professional has many new and advanced features with the advanced level of technology. Its features are really amazing that satisfy its users. I want to tell you that it is very easy to use and you can easily fly Phantom 3 Professional with a little bit of experience. If you are a beginner you can use it, otherwise intermediate or experts can use it extremely easily. On the other hand, the camera attached to it that can record 4K videos according to your requirements. The recorded video will have a good result. You can go it with live streaming, as anywhere your drone will go you can watch that 720p video live and publish it on the internet. There is also an option of full-size video recording you can check its options. DJI Phantom 3 Professional comes with an Android and iOS application that controls the camera and you can also watch the live video in the application. It’s time to discuss the features of Phantom 3 Professional. So, I don’t want to waste your time. Here you can read its features. It is very easy to fly, a beginner can fly this drone with a little bit of experience. On the other hand, GPS feature available in it that increases its value. The battery featured in Phantom 3 Professional is intelligence (said by DJI). And the vision positioning system is available. Return to home function is really awesome that we found in it. This function allows the drone to come back / return to home when you give it command of return home it will work. Auto flight logs are also available in it and one other feature is that it can follow your command instantly. Its camera is controllable, you can control easily. Let’s see its pros and cons for complete detail. So here the next drone comes from the Parrot (A Company that provides Drones, Minidrones, Audio connect objects etc). 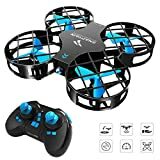 This drone is awesome and you can also say it Toy RC Drone. It is not a big drone, it is a small drone comes with great features. I want to tell you that, this is the smallest drone that we have seen with the rotors attached. Parrot AR.Drone 2.0 is the best for those who want to buy the cheap drone with some good features. One thing is completely different in this drone that is its design. You know that its design is completely different from other drones on the list. Parrot AR.Drone 2.0 is built as a toy RC drone and the main focus of the drone is on its cheap price and design. This is not for videography, filmmakers or photography, so it does not mean that this is not good. Finally, AR.Drone 2.0 has some great features. You can learn drone flight with this drone because it is simple and cheap. One thing more I want to tell you that this is for children, as you know this drone is the RC toy. For entertainment this simple drone is awesome but if you have a high budget you can go with DJI series otherwise you can buy this one from the market. Some features of this drone are really cool and awesome that will satisfy you. AR.Drone 2.0 is extremely easy to use you can easily fly this. Its range is 50M (Meters) that is good for beginners. It can provide you with 720 HD video that you can publish on the Internet. The flight is controllable with Smartphone or Table (One from both which you want to use). The battery life of this drone is only 12M (minutes) and it is a super fast drone. For better understanding you can check below its pros and cons. Finally, this is the last drone comes from our list which is known as Cheerson Hobby CX-20 Professional. So, our list coming towards the end but before finishing I will explain buyer’s guide. 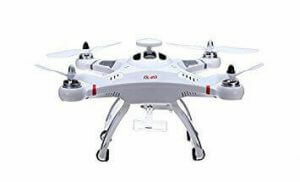 This professional drone is very cheap in price and good in performance. I want to tell you that this is the cheapest drone on our top 10 list. You need to know that this drone is good in the view of price and performance. It can take place of DJI Phantom series but now it can’t because it has fewer features but when it comes to the price it is best. This drone has many new features such as vision positioning system, Return to home, Pathfinder and many more. You can add Go Pro camera and shoot 4K footage. Its very easy to fly and you can learn it easily. The speed of flight is 22MPH that is really fast. There are many new features with the advanced level of technology. Some of them I am going to show you. The flying time of this drone is 15 minutes. The flying speed is 22 MPH and there is also a feature is available in it that is known as Return to Home. You need to connect a Go Pro camera to take images. And you can store these all the images on your computer, mobile or tablet anywhere you want. Here you can read all the buyer’s guide you need to know before buying any drone camera. We do not sell any drone or any other product but we help you to find the best thing that should give you benefits. The best drone for videography (according to the editor) is DJI Phantom 3 Professional. I don’t want to explain more about this because already explained better about this drone above. Here you can watch the review/video result of this drone. How to find the best drone? To find the best, you need to figure out that for what purpose you want to buy a drone. If you need a drone for flying, for entertainment, for photography or for movie scenes (Short scenes that you want to add in your movie). You can choose the best drone from our list. It all depends on your budget, if your budget is high you can find and buy the most expensive and best drones and if your budget is low you need a simple drone that can help you. If you need a drone for photography absolutely you need the drone with good camera result. So, its all depends on your purpose for using the drones. Just copy and paste this code into your website. Be aware when you are buying a drone camera must check these its speed, flight time, charging time and range. An average drone camera can fly 10mintues in the air, can go about 4-5km far with 20-70mph speed and almost 50min charging time. Always use common sense when buying your drone camera, must see for which task that drone is best, for example, best for photography. Also, check its battery timing and flight time. When you are charging your drone camera, you should keep an eye on it. You can carry almost 2KG weight with a normal drone. Fly your drone under 400 feet in the USA, according to FAA (Federal Aviation Administration), you can’t fly a hobbyist drone above 400 feet. Must visit www.FAA.gov for more information. Currently, I have added Syma X5CS as the best Drone for beginners, there are no any advanced features in this drone camera but still a best for beginners because the basic features are really fantastic. 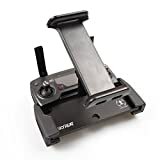 So, if you need best beginner drone 2019 you can go with Syma X5CS. The professional drone camera is Cheeson Hobby CX-20. Surprisingly, a professional drone camera with advanced features and low price. 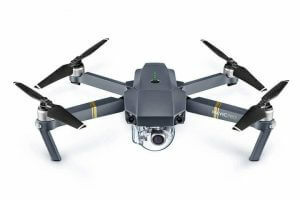 DJI Mavic Pro is the best drone camera that you can buy in 2019, it comes with advanced features and overall best in 2019. 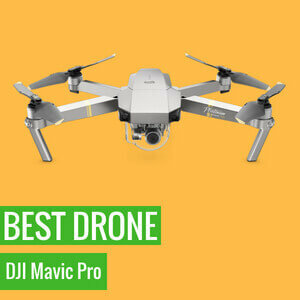 DJI Mavic Pro is the first choice for drone lovers in 2019 and still Mavic Pro ranked on #1 number. There are some upcoming drones in 2019 that I will update here. Under $100 the best drone I have found Cheerson Hobby CX-20, the best performance cheap drone that you can buy. There are several drones with cameras but Parrot AR. 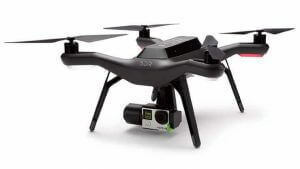 The drone comes with 720p HD Camera the best HD camera drone at a cheap price. XDR220 RTF FPV Racing Drone is currently the best FPV racing drone, not expensive its cheap. If you are FPV lover go with it. Basically, a drone is also known as a Quadcopter, so the best quadcopter is DJI Mavic Pro. The best drone under $200 will be Altair AA108 that’s a good choice. It comes with the camera and several features are included. DJI Mavic Pro is the best drone with a camera, Mavic Pro is love, comes with a lot of features. 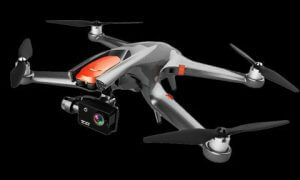 Maybe its a best drone for photography or videography. Here is the list of best sellers on Amazon, you can pick any drone according to your requirements. This post contains affiliate links, if you will buy any product from those affiliate links I will get a small commission, you will get no any more cost, Thanks for your support. I have explained almost everything that you need to know. Now its time to wind up this post. If you have any question in your mind you can ask below in the comment section. We don’t sell drones or any other product we just help you to save your money and we also help you in buying the best product which you want to buy. Share this guide if you like this!